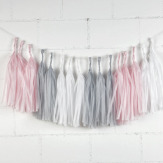 Light and fun, our tassel garlands are a must for your next party or to decorate your home. 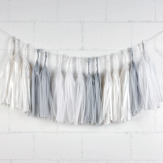 Each garland kit contains a string and 16 tassels made of delicate paper tissue. You will need to assemble the tassels following the instructions included in the pack (assembly time approx. 30min).